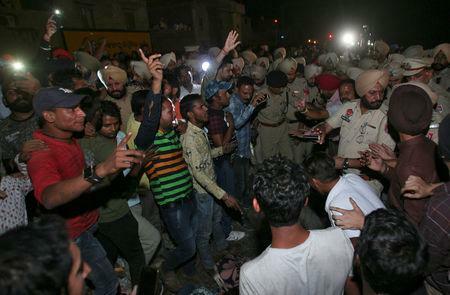 AMRITSAR, India (Reuters) - India's railway officials and local community leaders traded blame on Saturday over an accident in which a train ran over scores of people gathered on the railway tracks for a festival in the northern city of Amritsar. A large crowd had formed near the tracks on the city's fringe for the burning of effigies as part of a major Hindu festival on Friday when the train sped through the gathering in darkness, officials and witnesses said. "I've been seeing this event every Dusshera from here and this has never happened before, the railways should have stopped or slowed down the train," said Deep Kumari, who watched the festival from the terrace of her house. "Everyone here knows this effigy burning happens here and there is a big crowd." India's state railways, largely built during British colonial rule, have long faced criticism for their safety record. A political focus on keeping fares low for the 23 million passengers who use the network daily has resulted in decades of underinvestment in rail safety infrastructure, critics say. 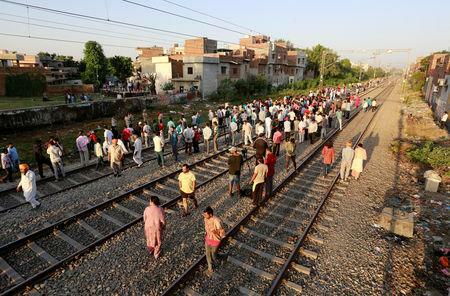 Friday's accident was the worst in years but Manoj Sinha, the junior minister in charge of running the world's fourth largest rail system, said they couldn't be held responsible for people gathered on tracks. "Railways cannot be blamed, railways were not informed about the ceremony. Why was it organized there? There was no notice given to the railways," he told reporters as he visited the site early on Saturday, surrounded by officials and police. "You can see from some of the videos that people shot that as soon as the effigy was lit, you can the train coming from the other side. It was horrific, the organizers must answer why the delay," he said. 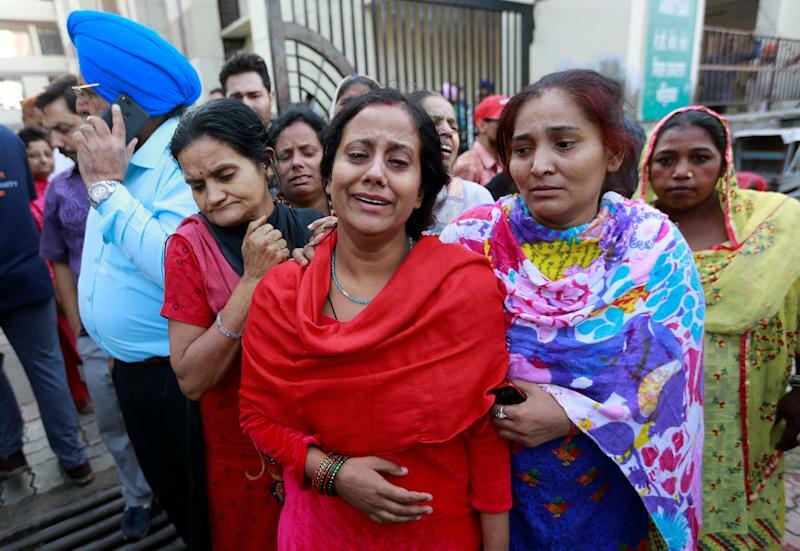 But Kaur, whose husband, Navjyot Singh Sidhu, is a former Indian Test cricketer and now a state minister, said effigies were burned at six places in Amritsar and most of them were in fields near the tracks. "The (railway authorities) should have at least issued directions to slow down the speed of the train. Such a big mistake," Kaur said on television.